All locations will be open from 7:00 am to 3:00 pm on Wednesday, November 23 including the McGaughey Chapel location that is normally closed on Wednesdays. All four sites will be closed on Thursday, November 24 in observance of Thanksgiving Day. 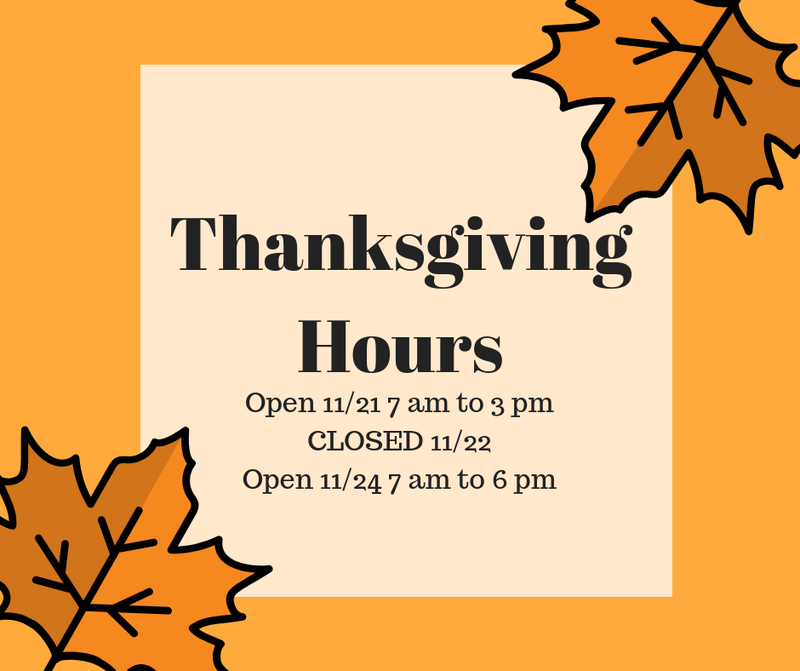 All locations will reopen on Friday, November 24 from 7:00 am to 6:00 pm and resume normal hours.